It was hot. Very hot and extremely humid. One of these typical summer day you would like to be somewhere in the north with 15 degrees Celsius less. The forecast was as good as you could expect in summer, scattered showers and isolated thunderstorms. Two weeks stuck in the marina, so we gave it a go and motored our way out. Half of the marina was empty, snowbirds left, escaping from Florida summer. This was supposed to be an easy week-end, direction Cayo Costa a place we know well. With the risk of thunderstorms, I wanted a protected anchorage. These summer storms are usually short, but can be extremely brutal. During the week, one hits the marina with wind over 40 kt. We started our trip with a gentle breeze of 7 kt and Wind Maiden was lazily cruising at 3.5 kt. Not fast, but we were in motion, and the wind was helping to fight the heat. After an hour, the wind went down to 2 kt and we continued our way with the engine. No way we could stand idle. Around 1:30 PM we arrived in Pelican bay and anchored in the 6 ft deep area with few other sailboats. Shortly after, we realized we were standing in the middle of hundreds of dead small fishes. What did happen? I have no idea, but the vision was gruesome. Pelican bay is a place of life and not a graveyard. We decided to move the boat to a small cove in the North East (Punta Blanca North). The entrance is a big tricky with our 4.6 draft, but we reached our anchorage without any problem. We tried a first spot before deciding to move deeper inside the cove. We had wind from the West (at the moment no wind at all) but forecasting to move NE during the night. At this point, Maribel was exhausted by the heat and I was worry. Her tolerance to the heat is not as good as mine and she was starting to have serious headache. Sunstroke is one of the major risk for boaters. We decided to go for a swim to cool her body temperature (took me about 15 min to convince her). The water was warm, but she felt better and we took quick lunch before taking a long “siesta”. Nasty clouds from the East. End of the afternoon, we decided to take another swim around the boat. Suddenly, with no warning, the wind increases from zero to 15 knots. The boat started to swing around the anchor. We boarded quickly and removed all our extra canvas preparing the boat for a blow. Looking at the east, I could see dark clouds massing up. It didn’t look good. For one hour, we monitored the sky. The wind was still around 15 kt, but clouds were passing to the North East. Maribel enjoying the breeze that came suddenly. I was keeping an eye on the cloud formation. With the evening, the wind came down and we enjoyed a wonderful sunset and dinner. The view was amazing, the silence mesmerizing. Dinner was wonderful: champagne, appetizers, wine and sausages. This restaurant is a one-million-dollar table. God bless our mosquitoes net protecting us from bugs. Feeling better as the sun goes down. It has been a very hot day. The night was quiet. We sat on the bow looking at the sky. So many stars. So many dreams still to become reality. We discussed about our next projects with a bottle of rum witnessing our future plans. On the morning, I waked up early contemplating the calm water of the bay. No wind, the water is a mirror. The anchorage is still sleeping. 6:30 AM a huge catamaran left and slowly people started to wake up. Around 8:30 we were ready to leave. Maribel guided me out of the cove. We did it once and I wasn’t particularly worry. What can go wrong? Wind was starting to pick up, giving us some air and the sun was shining. Suddenly the boat stopped. We just ran aground !!! I tried to get out with the engine, but it was useless, we were stuck! This was the time to know how many bad words I know in English. Not many (luckily). Chart of the anchorage. We were anchored in the NE cove and we ran aground between the two sandbars (red star). Time to think. This is not Maribel fault, she is very good guiding me, but the passage is very narrow. All right no big deal. The ground is soft, so the boat is not at risk, the only thing that is hurt so far is my self-esteem. I tried again with the engine with short bursts to starboard and port. No way. I decided to deploy a stern anchor and tried to come back from where we came. I took the dingy and started rowing to deepest water Maribel giving me chain as needed. We tried with 50 feet. I wasn’t expecting that to work at the first try, but miracle happens. The boat started to move and soon Wind Maiden was floating again. We removed the stern anchor as quick as we could, and I continued to back up with the engine. With the anchor came a lot of mud transforming the cockpit into a mess. We will deal that later. My priority was to get out. Maribel went back to the GPS. She was obviously a bit stress. We had two sandbars, one of each side and a very narrow channel to pass. Slow. Very slow. Starboard, port, starboard…I followed the instruction looking the depth. Soon, we were out of danger. We crossed the main anchorage and then the other narrow channel marking the entrance to Pelican bay. I was really happy we went out of this so easily working together. An happy captain. We made it out by our own. It is said that there are only three kinds of skippers, those who have run aground, those who will run aground, and those that have but won’t admit it. Once out of the bay, we started to clean the boat. Discussion went on about this little incident. Again, nobody fault, these things just happen. When done, we raised the sail. We have a wonderful 12 -14 kts wind from the NE. 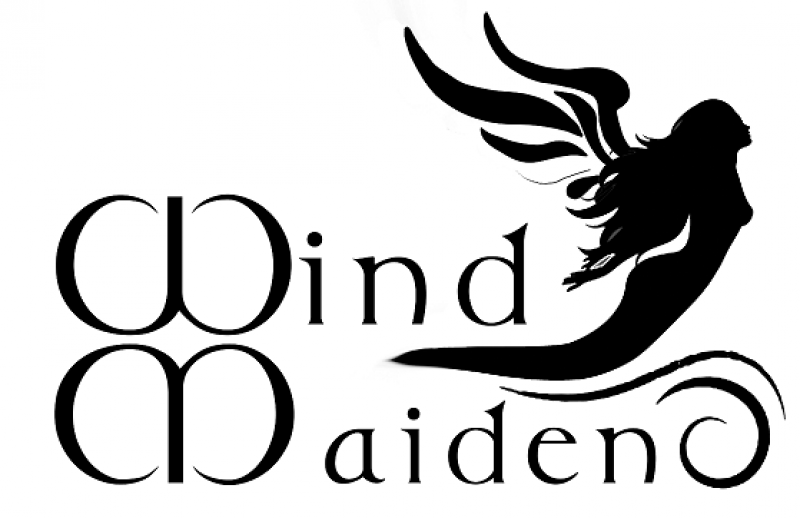 Wind Maiden loved it. A mile away, we saw another boat that left Pelican Bay before us. We started chasing. Wind Maiden rushed on the calm water at 5 kt, close-hauled. I take a short tack before aiming Burnt Store. There is nothing better than this. Just the wind pushing us and the calm sea around us that seems to smile. Florida was making up for the previous day. 2 miles before Burnt Store we were very close from the other boat. Good job Wind Maiden ! The other boat continued North, it was time for us to end the week-end. Always too short ! Merci 🙂 Le moral est toujours au rendez-vous !